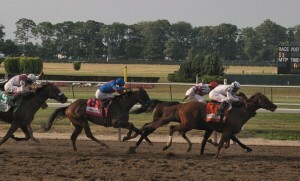 Are you trying to get your bets prepared for the 2013 Belmont Stakes? The Kentucky Derby is the biggest betting pool in the United States each year, but the Belmont Stakes also has payouts that you will not want to overlook. In order to get your wagers placed on time and win big, a brief outline on what to expect from the 2013 Belmont Stakes is all you need. Most people are not aware that the Triple Crown is run in an order from youngest to eldest. The Kentucky Derby is held first each year, and it is the youngest race of the three. The oldest and final horse race in the Triple Crown are the Belmont Stakes. It was first held in 1867 and has been run 143 out of the past 145 years. The only two years that the Belmont Stakes were canceled was 1911 and 1912. The typical capacity at this racetrack is about 32,000, but it can swell up to over 100,000 during the Belmont Stakes. On the other hand, attendance at the 2013 Kentucky Derby was over 150,000. Thankfully, the same attitude toward attendance is not paid toward Belmont Stakes betting. Where is the Belmont Stakes held? Currently, the Belmont Stakes is held at Belmont Park in Elmont, New York, but this was not always the case. The first Belmont Stakes race was actually held 15 miles away in Brooklyn in 1867. In 1890, the race moved from Jerome Park to the Morris Park Racecourse. The Belmont Stakes finally moved to its current location in May of 1905. When is the 2013 Belmont Stakes? As the third leg of the Triple Crown, the Belmont Stakes is always held after the Kentucky Derby and Preakness Stakes. You will find it on the calendar each year on a Saturday between June 5 and June 11. This year, the 2013 Belmont Stakes will be run on Saturday, June 8, 2013. Unlike the Kentucky Derby and Preakness, the post time for the Belmont Stakes is listed closer to the day of the race. However, the times for the 13 races held on the same day at Belmont Park start at 11am and end at 10pm. The Belmont Stakes is the eleventh race held that day. What about tickets to the Belmont Stakes 145? You do not need to attend the Belmont Stakes in order to bet on it, but if you want to watch the race in person; you are in luck. The tickets to the Preakness and Kentucky Derby tend to be expensive and difficult to obtain. Alternatively, tickets to the Belmont Stakes are extremely cheap and easy to come by. Sadly, this all changes when there is a possible Triple Crown victory underway. 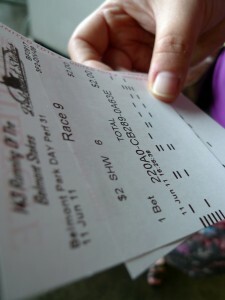 This means that getting tickets with a reserved seat to the 2013 Belmont Stakes should be purchased before the Preakness begins. Tip: Keep in mind that tickets for “admission” to the Belmont Stakes are not the same as reserved seat tickets. This year, the organizers of the Belmont Stakes are luring bettors to place a wager on the other races occurring that day. In particular, Race 6 and Race 8 will offer a guaranteed $1 million betting pool. To get the guarantee, bet the Pick 6 for Race 6 and the Pick 4 for Race 8. Otherwise, you can expect to place 2013 Belmont Stakes bets on race day. Moreover, do not be surprised if your betting website does not offer betting on the race until the day it begins. Traditionally, the Belmont Stakes will release the contenders for the race after the Preakness is run. This puts bettors at a disadvantage and appears to make it difficult to figure out how to start handicapping the race early. If the lack of information about the Belmont Stakes 2013 contenders list has you feeling gloomy, remember that it most of the horses that ran in the Kentucky Derby and Preakness will also be present at the Belmont Stakes. So far, a short list of horses that will be running at the 2013 Preakness includes Orb, Oxbow, Will Take Charge, Goldencents, Departing, Govenor Charlie, Mylute, Itsmyluckyday, Vyjack, and Normandy Invasion.